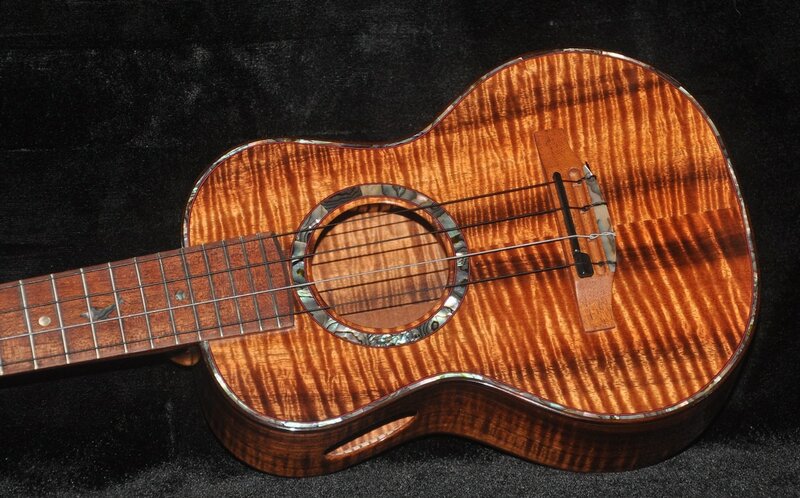 This new instrument is a Super Concert Ukulele which means that it has a concert size body with a tenor length neck. 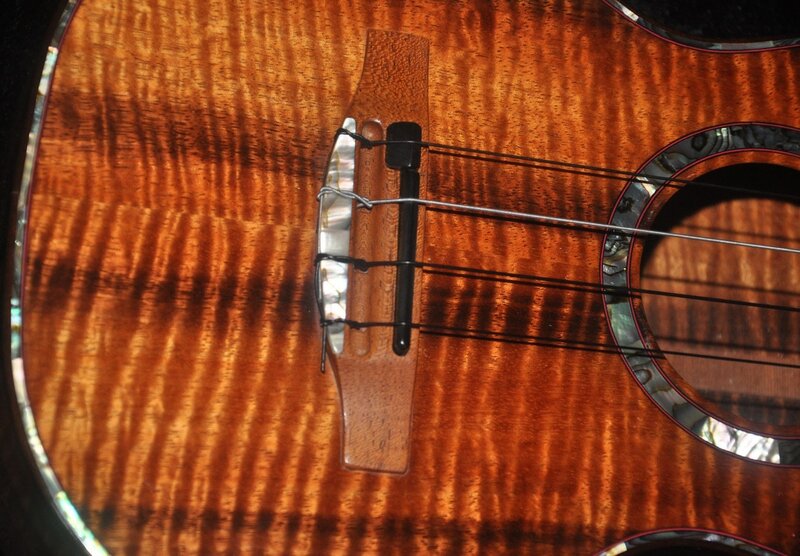 It gives the player the advantages of the smaller body with the fuller resonances of a tenor length scale. 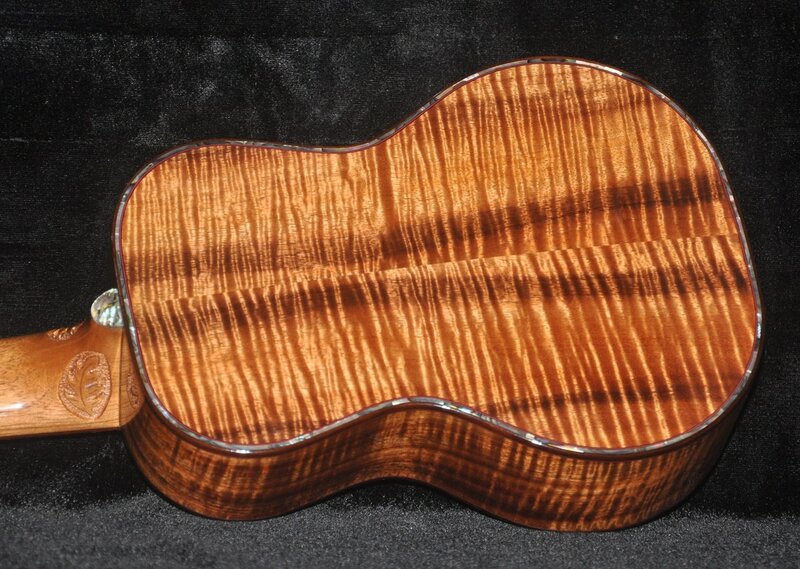 The body is some the nicest curly koa I've every had. A classic koa look!. 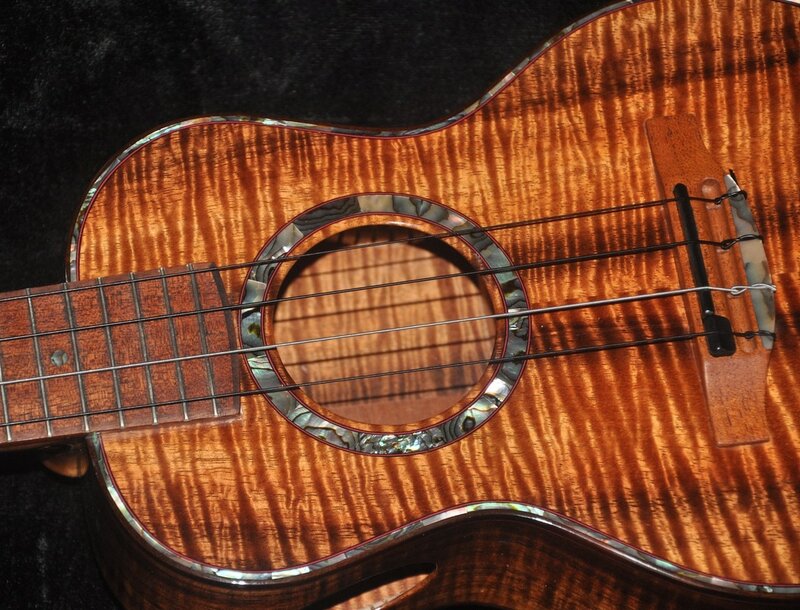 Neck is Spanish Cedar, fretboard and bridge are Big Island Keawe. The body and fretboard are bound with Big Island Milo. 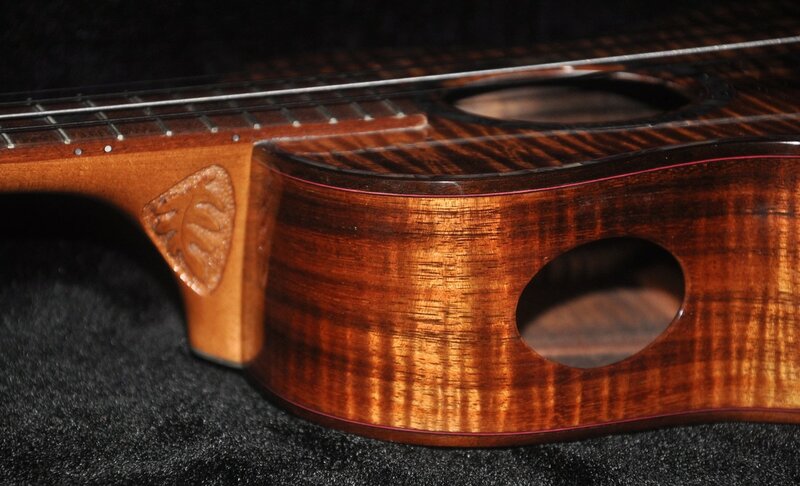 The top and back have Paua shell binding inlay. All the Paua shell inlay is solid shell. 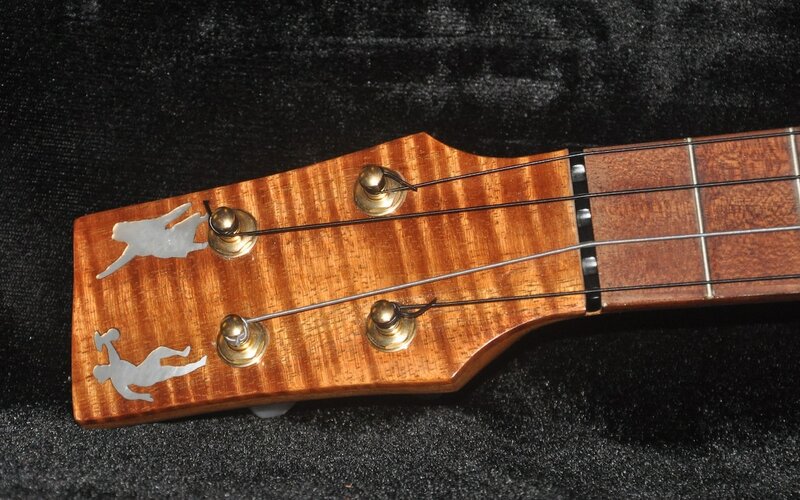 Headstock inlays are mother-of-pearl. I hand cut my own inlays. There are stylized hand cut breadfruit leaf carvings on each side of the heel. There is also a soundprort, which gives the player more direct access to the sound, especially in group situations. 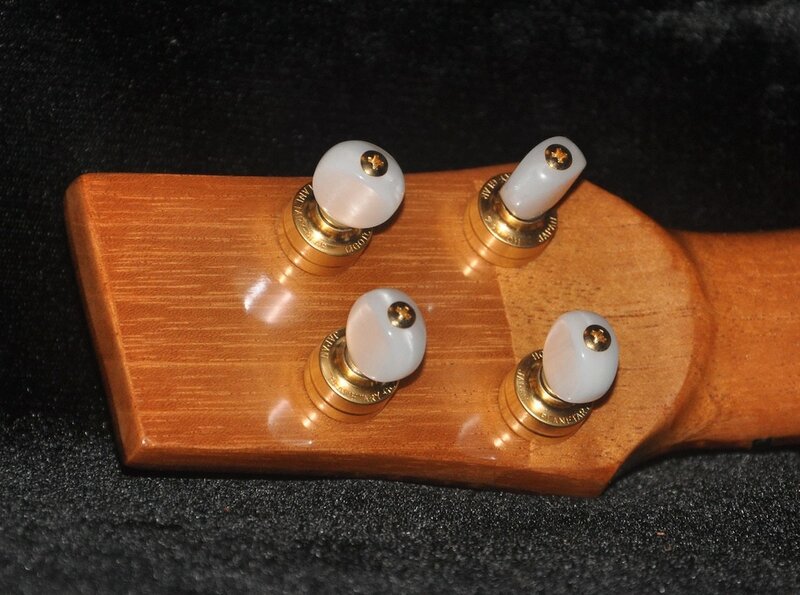 The tuners are gold plated Gotoh planetary geared pegs with pearled buttons. 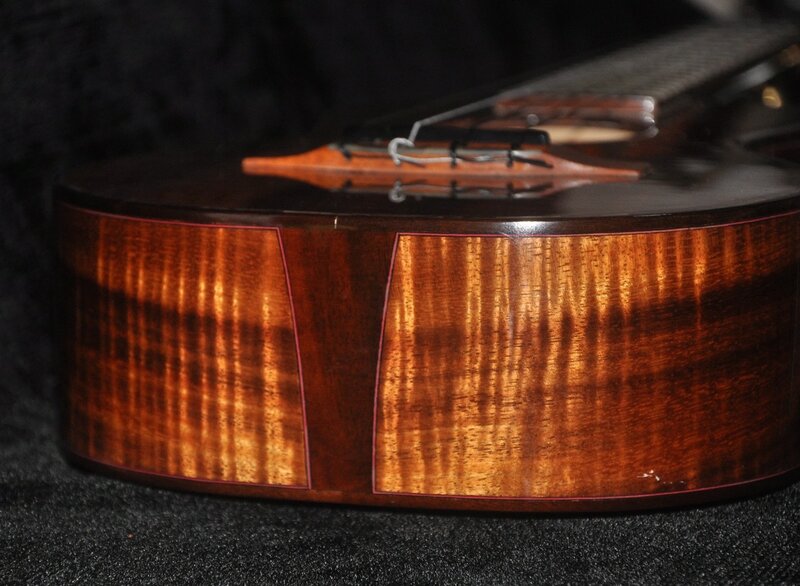 This instrument also features my unique bridge saddle design which allows the play to use either high G or low G strings. 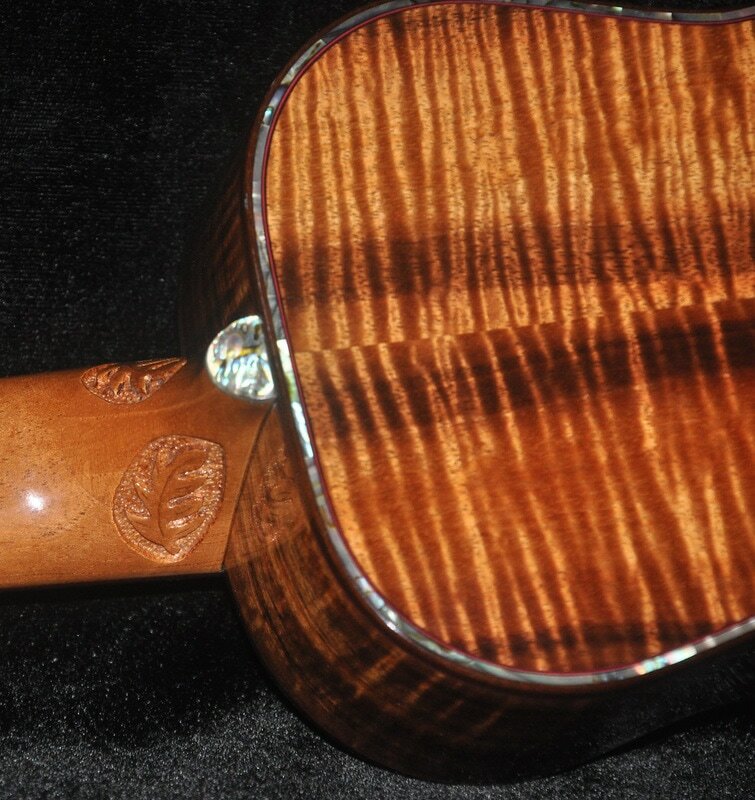 Simply turning the saddle insert under the G string around allows for proper intonation for either type of tuning. Since this is a Super Concert, it does not fit in a standard size concert case. Custom cases can be ordered, but they are very expensive, costing more than $300.00 and take a long time to get. The instrument was sold with a nice tenor hardshell case that I have added additional padding to to accept the smaller body size. I think most players would be satisfied with it.